Carpets cleaned with Encapuclean dry in about an hour without the wicking, yellowing or recurring stains that often plague commercial accounts. In addition, vacuuming performance will be dramatically enhanced with carpets actually getting cleaner and cleaner with every vacuuming! With Encapuclean and the Brush Pro machine you'll easily be able to compete with janitorial contractors for commercial carpet work at a nice profit! 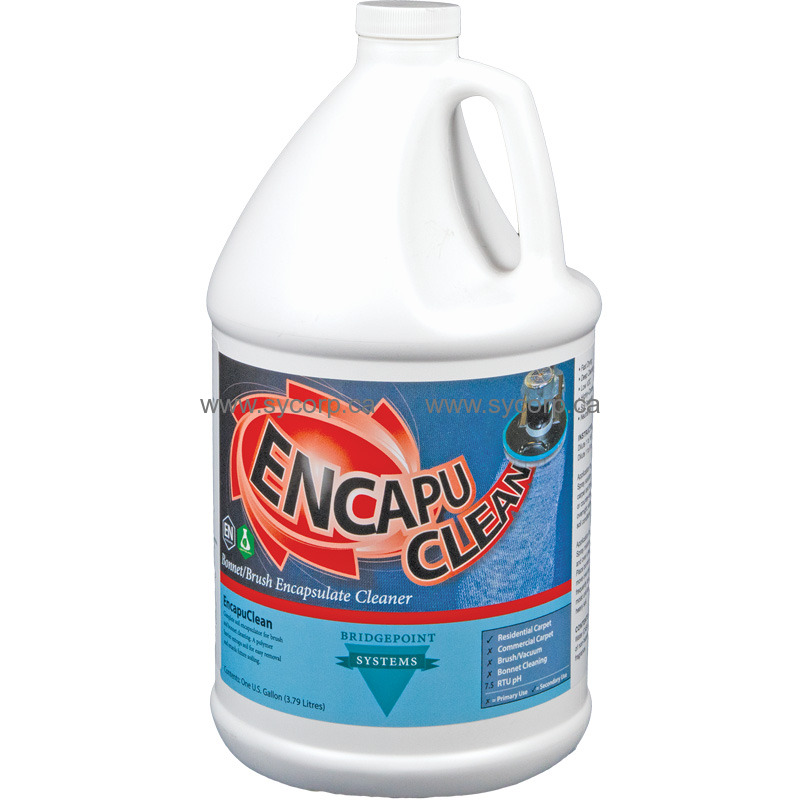 Encapuclean can be used with the Brush Pro or other counter-rotating brush machines or with conventional bonnet or shampoo systems. It features very low VOC content and an almost neutral pH but delivers results you have to see to believe!